The weather really did not cooperate. We had pouring rain all morning. The rain did stop about when our event started, however, it rained again pretty hard right in the middle of the event. Despite the bad weather, everyone who signed up to show cars came as promised. We had three vendors present: Nissan, Telsla, and BMW. Lots of great conversation with those showing cars. The public who did attend asked lots of great questions. 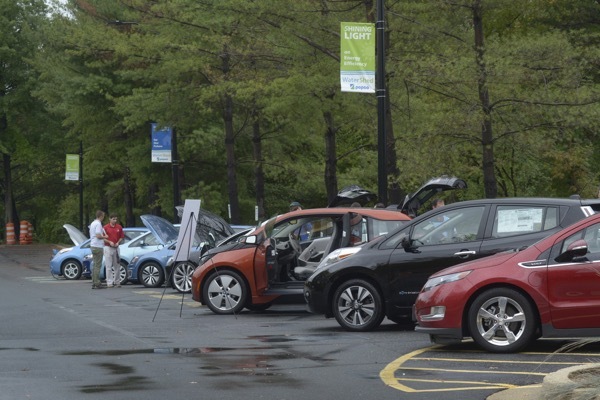 Learn about Electric Vehicles from actual owners! Pepco's WaterShed Sustainability Center is a living classroom and laboratory for sustainable energy and water practices constructed at their Rockville Service Center. The center features the 2011 Solar Decathlon home winner from the University of Maryland. The center has many solar panels, demonstrations of many sustainable practices, and multiple Electric Vehicle chargers. 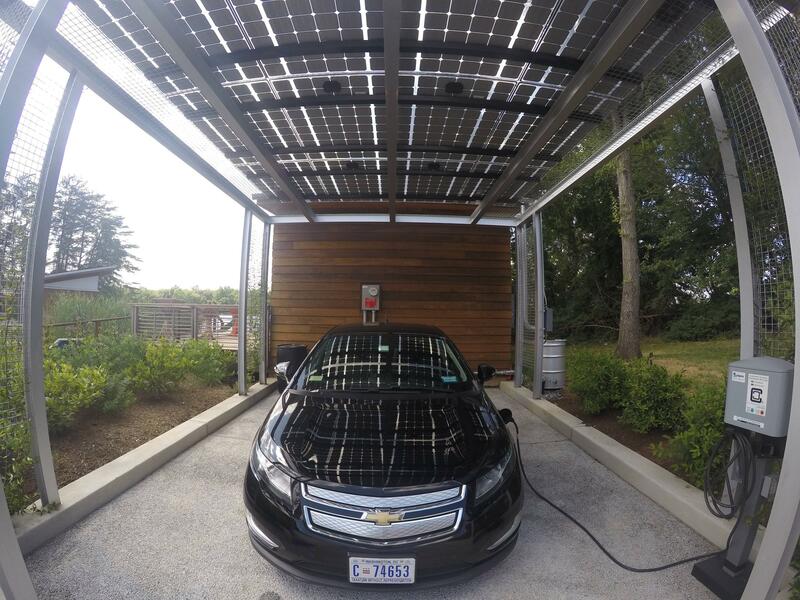 Learn about the many benefits of EVs for your family, your pocketbook, and the environment. Talk to actual owner/advocates and ask them about their real world experience going electric. Plus tour the 2011 Solar Decathlon winner. Registered attendees report 94,808 electric miles driven.